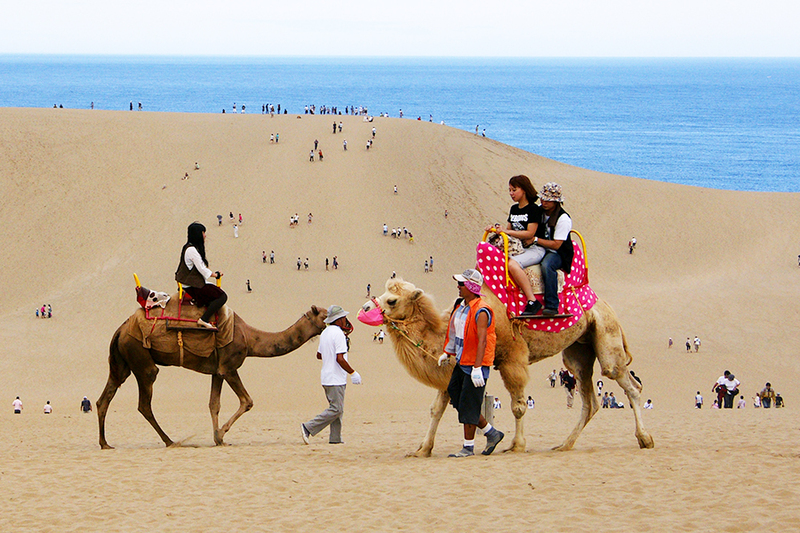 These are some of the largest sand dunes in Japan. 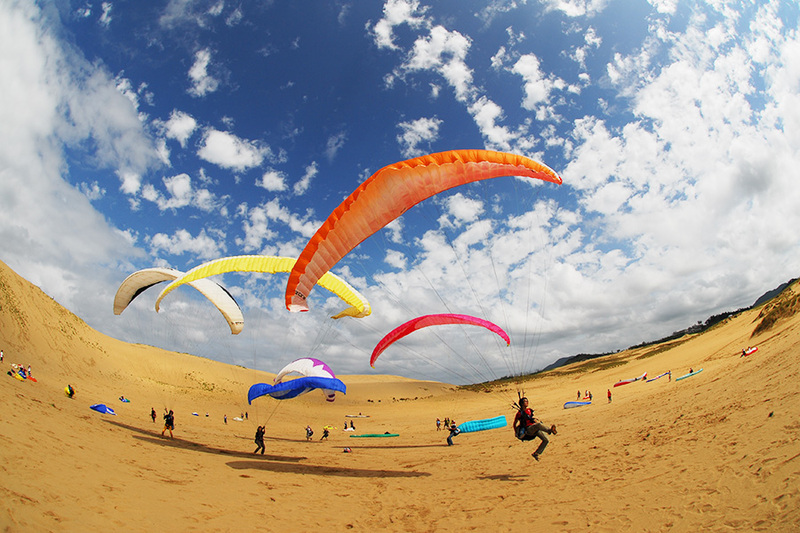 These dunes are located in the corner of the San’in Kaigan UNESCO Global Geopark in the eastern part of Tottori Prefecture. The fumon (wind patterns) are one of the highlights here. 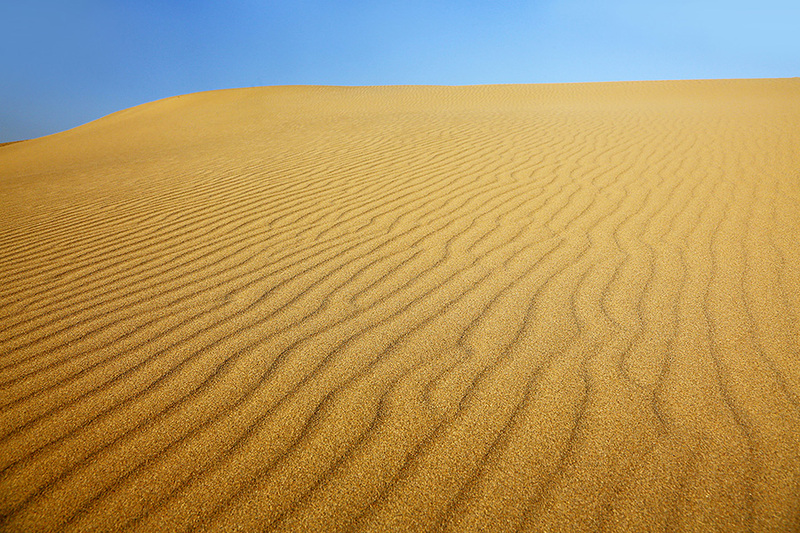 This is a beautiful phenomenon interwoven with nature in which wave patterns are drawn on the entire surface of the sand. There are various ways to have fun here. For example, you can take a stroll while looking out at the sea, take a commemorative photograph of yourself riding a camel, and try paragliding or sandboarding! You will also find the Sand Museum adjacent to these dunes. 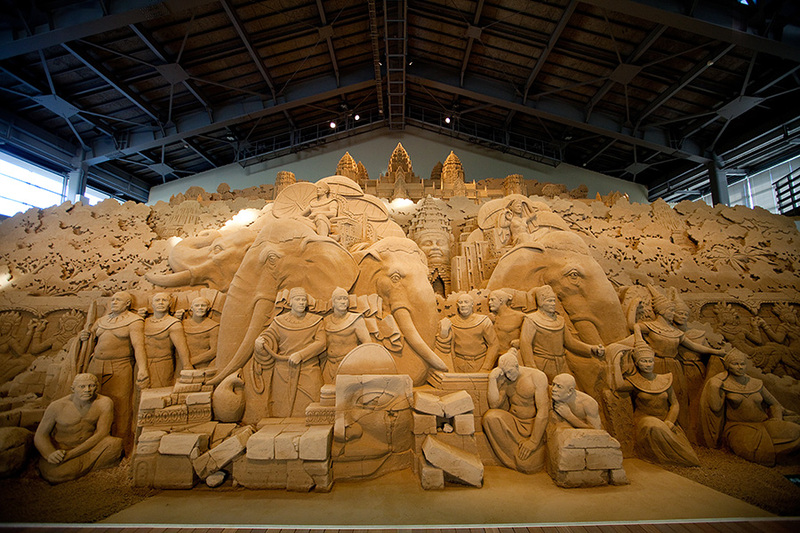 This is the only museum in the world to display sculptures made from sand. You will surely be impressed by the many magnificent sand sculptures formed with just sand and water.